Report by Badal Tah; Rayagada, January 14: Injustice meted out to Jhodia, which is a prominent tribe in Kashipur block of Rayagada district, by denial of its Scheduled Tribe(ST) status as enshrined in Constitution of India, has been resisted by the community members since long. 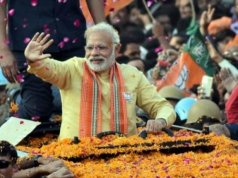 Though their brethrens in the adjacent districts like Kalahandi and Koraput retained tribal status, the Kashipur Jhodias are still running from pillar to post for enfranchisement. Yet again, on last Saturday a team of ten tribal leaders cutting across party lines led by Smt Sumani Jhodia, President of Paroja Samaj of Kashipur and accompanied by Sri Kaliram Majhi, BJP’s National Vice-President(Tribal wing), Sri Jayaram Pangi, Ex-MP, Koraput, Sri Makaranda Muduli, Congress party leader and Legal Advisor of Paroja Samaj, Kashipur, Sri Arjun Jhodia, Secretary, Paroja Samaj, Smt Ghasen Jhodia, Sri Hrushikesh Jhodia, Sri satya Narayan Jhodia met Sri Jual Oram, Minister on Tribal Affairs, GOI and submitted a memorandum to Sri Narendra Modi, Prime Minister of India through Mr Oram. The memorandum mentions to include Jhodia as a synonym of Paroja notified as Scheduled Tribe(ST) at serial number-55 in the ST list of India. According to the memorandum, the population of Jhodia tribe is around 1,00,000, who had the tribal status and were getting all govt benefits till 1997 after which they had been deprived of the ST status thereby not availing caste certificates from the competent authorities. Though Govt of Odisha during 2002, 2010, 2011 & 2012 has written to GOI to include Jhodia as a synonym of Paroja, the later is yet to take any concrete step in this regard. 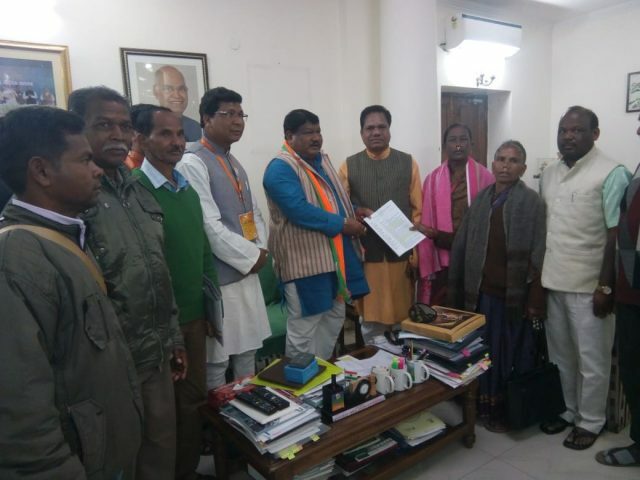 Copies of the memorandum has been given to Tribal Affairs Minister Sri Jual Oram, Petroleum and Natural Gas Minister Sri Dharmendra Pradhan, Home Minister Sri Rajanath Singh for necessary action at their end. 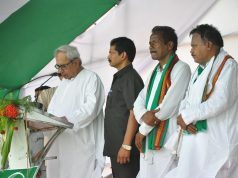 “A team of twenty five tribals under the banner of Odisha Adibasi Manch(OAM) during 2001 spearheaded a campaign for enlisting Jhodias as STs and went to Delhi to put forth the issues before several ministers, secretaries, ST/SC commissioner, etc and were assured of promises to be broken afterwards. Though the state Govt has written to GOI time and again, it is a fact that their revenue staff made clerical mistakes by writing on their land patta or Record of Rights(ROR) as Jhodia instead of Jhodia-Paroja during land settlement. As Kashipur was poverty stricken coupled with illiteracy, they believed the revenue staff. They are suffering because of somebody else’s mistake. State Govt can not wash off its hands by writing few letters to GOI though both the Govts are responsible for this sorry state of affairs. Lack of political will has kept the issue at status quo. Anguished, they boycotted general election in 2009 and panchayatiraj election in2007 & 2012. This could be the last hammering and we have to be optimistic”, said Sri Badal kumar Tah, State Advisor of OAM and a senior scribe. Sumani, Ghasen, Makaranda and few others from Kashipur met the then UPA Govt Chairperson Smt Sonia Gandhi during December, 2013 and presented a similar memorandum. Again during the fag end of July, 2014, they submitted their written demand to Jual Oram, who assured to do the needful within six months. The delegates, getting frustrated of no action by Oram, met him again during March, 2016 and appraised him in detail. Unfortunately their hope got shattered again as “Jhodia” didn’t feature in the list of 12 tribes that got the cabinet approval, on May 26, 2016, for inclusion as STs through a parliamentary amendment. Now on 12th January 2019 again the delegates have finally met Oram and repeated the same demand. 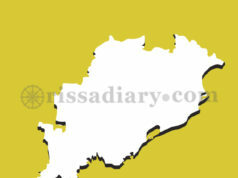 “As Modi is making frequent visits to Odisha, we expect that he takes up this pertinent issue or otherwise Jhodias will respond democratically to false promises made and political gimmicks ’, said Makaranda Muduli, who is a Jhodia-Paroja himself from Kashipur and was Congress Party MLA candidate during last election.